CALL US TO SECURE YOUR TICKETS, TRANSPORTATION, OR SETUP A TAILGATE. Dallas VIP specializes in group event planning. We provide a VIP "hands on" dedicated event coordinator to secure the success of your party. From formulation to finale, Dallas VIP will be there every step of the way to create memories of a lifetime. Check out Theory Dallas, reserve a bottle service for your event. Dallas Mavericks Tickets are Now On Sale ! Call to secure your seat at one of the hottest games in Dallas. Hotel Za Za is one of the most popular boutique hotels in the city. We can secure upscale accommodations for your group at Hotel Za Za and the Metropolitan Club. We provides the finest in luxury transportation from Hummers, sedans, Party Buses, and customized vehicles. We can provide tee times to the most exclusive golf courses Dallas has to offer. We specialize in planning corporate events, wedding receptions, anniversary parties, and more. 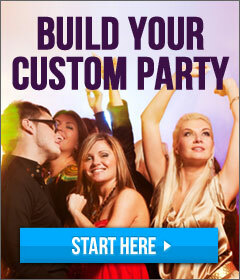 Our staff of professional event planers will make your next party a sure hit. 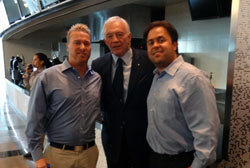 Dallas VIP is the newest and most elite event planning company in Dallas. From corporate event planning to bachelor and bachelorette parties, our experienced staff will make sure that your event is a true success. Dallas VIP will seamlessly initiate detailed plans for you and be there every step of the way to ensure the event is one not soon to be forgotten. Our job is to create you the event of a lifetime. Our hosts and event coordinators have years of experience and our goal is to provide you and your clients with the best service in the city. Our professional host is there to be your local guide for the evening, making sure your night runs smootly. Our host will be there to answer any questions you have, personally walk your group past lines, and get your group set up in VIP fashion at the venue of your choice. Weather you are traveling to Dallas on business, a sports game, or just for fun, Dallas VIP will make sure you have the best VIP itinerary to exceed your expectations. Dallas VIP has established relationships with hotels, nightclubs, gentleman's clubs, restaurants, golf courses, limo companies, and models for conventions and private events. These nourished relationships allow our clients priority admittance and access to the best deals that Dallas has to offer. Dallas VIP provides top notch limo service to get around the Metroplex in style. We have the newest and cleanest limos that Dallas has to offer and can accomodate any of your transportation needs from airport transfers to a night on the town. We have the most expericened and friendly staff in the Lone Star State and look forward to helping you. Dallas VIP has established relationships and VIP access to Dallas' ever growing nightlife scene and can ensure that your group will walk past long lines and get sat at the best table in the club. Dallas VIP also provides VIP access to the top gentleman's clubs in the city with discretion and style. Our relationships with the best golf courses in town allow our clients to swing the sticks without any hassles. We can even arrange models to host your next event weather it be staffing models at your booth for a convention or for your own private party, we can make sure that your needs are taken care of. Our staff can also help with your next private event hosted at your home from catering to the DJ, we will make sure your private event is a huge hit with the guests. We appreicate your interest in our uniqure and invaluable services in Dallas and we look forward to giving you and your clients "Star Treatment" to your next event in Dallas. Be sure to call our toll-free number below and talk with one of our experienced and friendly staff and we will make sure your next event in Dallas is a true success.